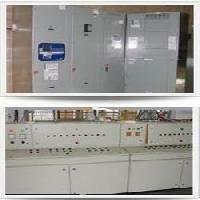 Siddhivinayak Automation & Electrical Solutions Pvt. 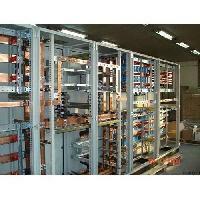 Ltd is one of the leading electrical engineering company of India. 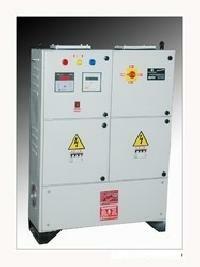 It’s range of activities covers, HV and LV electrical systems, air-conditioning systems, etc. 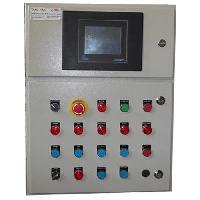 Siddhivinayak Automation & Electrical Solutions Pvt.Ltd was previously known as Siddhivinayak Enterprises and was established in 1996 at Thane, are among the prominent manufacturers and suppliers of an extensive array of premium quality vfd & control panel. As per the specifications provided by the patrons, these instrumentation panels can be patrons. 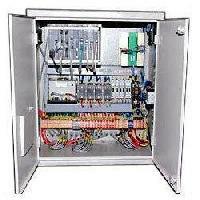 For the purpose of manufacturing these instrumentation panels, the high quality materials are used. 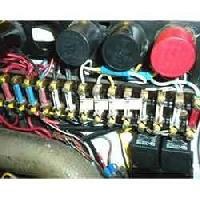 To ensure that the best quality materials are used in the manufacturing of these instrumentation panels, the raw materials are procured from trusted and reliable vendors of the industry. 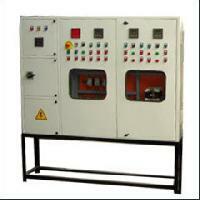 Instrumentation panel, motor control panel and power control panel are the product range offered by us. 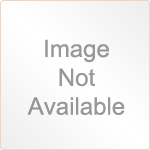 In addition to this, we are engaged in offering high grade after-sales services to our valuable patrons. Available with us at cost effective prices, these after-sales services are highly demanded for their timely execution. under the able guidance of our efficient manpower, we have been able to offer our patrons with high quality instrumentation panels at affordable prices. The sturdy construction, seamless finish, longer functional life, resistance to corrosion and hassle-free installation, makes these instrumentation panels highly demanded in the market. under the able supervision of our mentor, mr. Shashikant salunkhe, we have been able to cater a remarkable position in this domain in such short period of time. His vast experience and excellent management skills, has helped us in catering to the precise needs of our patrons in the most efficient manner. Client Satisfaction : Siddhivinayak Automation & Electrical Solutions Pvt Ltd shall strive to achieve total customer satisfaction by exceeding customer's expectations in product as well as service quality and timely delivery by building a strong and dedicated team of personal. Being a well-established organization, we bring forth a distinct collection of products. All our offered products are tested in terms of corrosion resistance, durability and superior quality. In order to enhance the skills of our employees, we also organize regular seminars and workshops in our premises. Due to this, we are able to be at par with the international quality standards. Our experienced and skilled professionals strive hard to understand the diverse requirements of the clients and provide all the products accordingly. Our Quality : At Siddhivinayak Automation & Electrical Solutions Pvt Ltd, we believe in offering customer high quality instrumentation panels. To ensure high standards of quality, the raw material used in manufacturing of these instrumentation panels are procured from well known vendors. For enhancing the performance and functional life of our product range, we are engaged in offering after-sales services. The offered services are inclusive of fabrication, maintenance and Installation of the offered instrumentation panels as per the industry set norms and regulations. Infrastructure : We at Siddhivinayak Automation & Electrical Solutions Pvt Ltd are engaged in offering our clients a vast assortment of high quality instrumentation panels, owing to our state-of-the-art infrastructure. Backed by a hi-tech infrastructural facility, we have been able to meet the bulk demands within the assured time frame. In addition to this, to ensure that all the on-going processes are carried out in streamlined manner, our infrastructure is segregated into various departments. Procurement, quality, administration, warehousing units are some of essential components of our infrastructure. Our Team : Backed by a team of skilled professionals, we are actively engaged in meeting the precise needs of our valuable patrons. Our team consists of semi-skilled & skilled labor, quality controllers, production managers and other supportive staff. By working in close proximity with the each others, our employees ensure a hassle-free workplace. In addition to this, they are trained through seminars and workshop. The training helps our employees in enhancing their skills as per the changing market trends.